Canada will introduce new legislation this spring that will address the problem of travellers being bumped from flights, the federal government says, as the violent dragging of a passenger off an overbooked flight in the U.S. unleashed anger over the practice. Canada will introduce new legislation this spring that will address the problem of travellers being bumped from flights, the federal government said Monday, as the violent dragging of a passenger off an overbooked flight in the U.S. unleashed anger over the practice. A spokesperson for Transport Minister Marc Garneau said bumping rules will be included in an air passenger bill of rights that was promised last fall to establish clear, minimum requirements for compensation when flights are oversold or luggage lost. Garneau's spokesperson Marc Roy declined to say if the legislation would set industry-wide standards or raise compensation to levels offered in the United States or Europe. Garneau would not comment directly on the incident aboard a United Airlines flight Sunday in Chicago, where police officers were seen on video grabbing a man from his seat and dragging him down the aisle. He said he did not know whether a passenger in Canada can be forcibly removed from a flight because of overbooking. 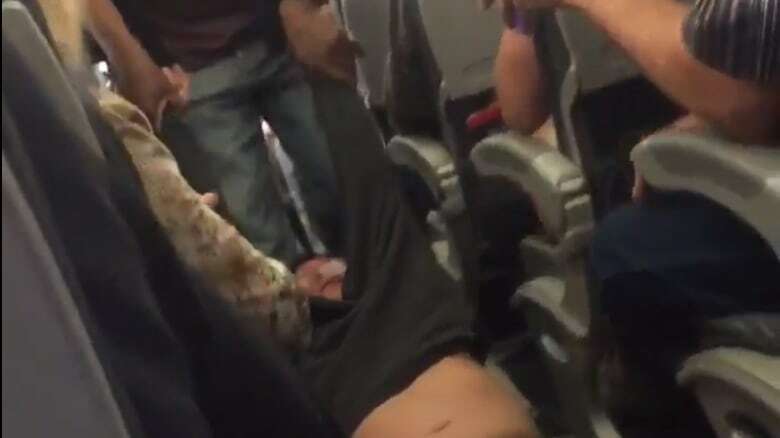 "I certainly have seen what happened in the case of the United Airlines flight and that is why last November I announced that we would be putting in place what we call a regime of rights for passengers," Garneau said. "We recognize that when a passenger books a ticket, they are entitled to certain rights." Passenger rights advocate Gabor Lukacs said the "troubling" video highlights the need for greater consumer protection. "Sadly, people realize what bumping actually means only when an incident so extreme happens," he said. ​Lukacs said all airlines should be required to conform to the same compensation limits, with thresholds rising to a maximum of $1,500, in line with the U.S. In 2013, Lukacs won a Canadian Transportation Agency case against Air Canada over the issue of bumping that required the airline to raise compensation to a maximum of $800 depending on the length of delay. Passengers are usually only removed forcibly from flights if they are intoxicated or deemed by crew to be a threat. However, Lukacs said airline staff can legally use their power to bar passengers. "If for any reason the airline tells you you need to leave, you have to leave," he said. "You don't get a choice, you cannot argue about whether you have to leave or not because it is their aircraft." He said airlines overbook flights as a hedge against people not showing up. Air Canada said bumping is rare. "We appreciate this is inconvenient for customers and we do take a very conservative approach to avoid this situation arising and when it does, we pay significant compensation," spokesman Peter Fitzpatrick wrote in an email. WestJet Airlines and Air Transat say they don't intentionally overbook flights. WestJet said it can be forced to assign passengers to a later flight if it faces an operational issue such as a mechanical problem or when a plane is replaced with a smaller one. Rick Seaney, CEO of U.S.-based FareCompare.com, said he's never seen something like what happened on board the United Airlines plane. "You should never let somebody board that you're going to toss," he said from Dallas. He said airlines typically raise the financial incentive until someone voluntarily agrees to take a later flight. 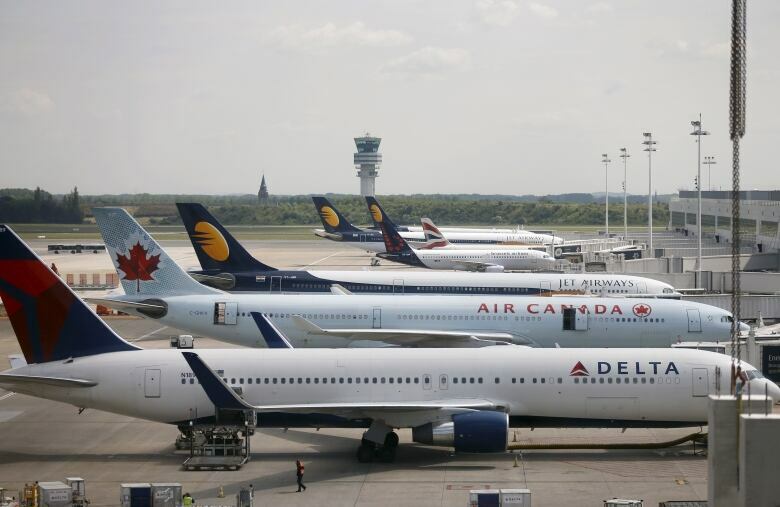 The Canadian Transportation Agency said passengers can minimize their chances of being bumped by pre-paying for a selected seat, checking in online up to 24 hours in advance of the flight and arriving at the airport early. The agency said it received 55 complaints about overbooking in 2015-16, less than four per cent of all air travel complaints filed.